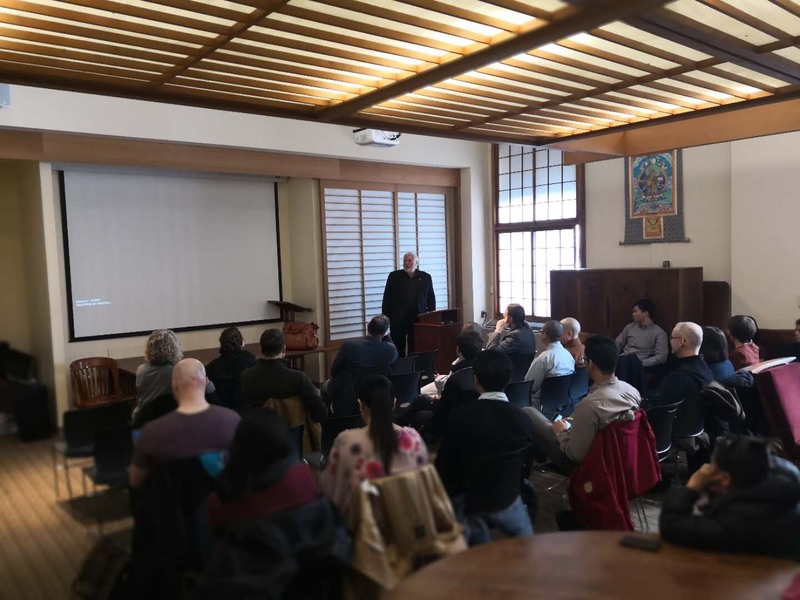 On March 9, 2018, Dr. Leonard van der Kuijp (Professor of Tibetan and Himalayan Studies of Harvard University) gave a lecture on “Some Observations on the Social Status of the Spiritual Teacher in Tibet” at Columbia University. The event was moderdated by Dr. Gray Tuttle (Leila Hadley Luce Associate Professor of Modern Tibetan Studies of Columbia University) and co-sponsored by the Department of East Asian Languages and Cultures, the Weatherhead East Asian Institute, and the Confucius Institute of Columbia University. By studying early Tibetan historiography and biographies, such as The Testament of Ba/Wa extensively, Professor van der Kuijp profoundly discussed the social status of Tibetan spiritual teachers and the interactions between religious and secular leaders in different historical periods. Based on his philological research of texts related to the lives of significant Tibetan lamas, such as Butön Rinchen Drup (1290–1364), Dölpopa Shérap Gyeltsen (1292–1361), and the Eighth Karmapa Mikyo Dorje (1507-1554), Professor van der Kuijp contextualized the various dimensions of the lives of Tibetan gurus in the historical background of Tibetan society. The lecture provided the audience a lively and concrete scope to understand historical connections between Buddhism and Tibetan societies. Around 50 guests atttended the talk, including scholars and students from Columbia University, Carnegie Mellon University, Renmin University, Minzu University of China, Bard College, etc. In the Q&A session, Professors Gray Tuttle, Dominique Townsend, and other scholars raised questions about some Tibetan historical figures and texts.